Here I sit with an enigma. Meetings throughout the day with limited time to spare before the lunch hunger peaked and I would either A) pass out or… Well it looks like Option A won. This is now 10 minutes later. Luckily I awoke to the aroma of deep fried chicken product mixed with cheese product. In my list of Top 10 Things Humans Created, fake foods are the majority of them (Seedless watermelon is the #1 fake food, #2 of all things ever). So I did what anyone would do when they smelled something close to their head. I ate it. Here’s how it went. In my opinion, Burger King has always had superior chicken nuggets to McDonald’s. Something about them just made them seem more like chicken than the McNugget, not to mention those creepy commercials when they made the McNuggets look like people. Good call Ronald. I was on the fence with your McNuggets because it lacked a certain cannibalistic appeal. Thanks for making them more to my liking. Flavor – HELLO? Cheetos are the gold standard of puffed cheese products. If you are a fan of cheese curls instead, well I guess that proves that nobody is perfect. 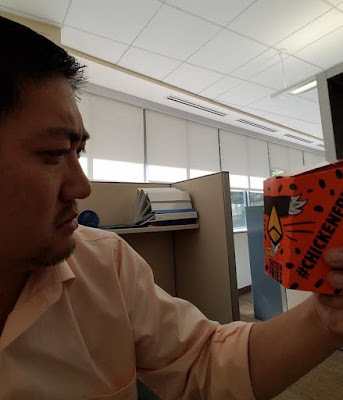 Regardless of your preferred Crunch Quotient (CQ), everyone’s favorite part of eating an entire bag of either cheese treat is the end of the bag when you just tip back the bag of cheese dust and breathe in the orange goodness. Now imagine just before the tsunami of flavor hits your tongue that a piece of fried chicken somehow gets in the way. The only issue is in that piece of delicious imagery; the cheese doesn’t get deep fried. The deep frying (and subsequent heat lamping) seems to take some of the “bite” away from the normal Cheetos flavor. It’s still there, but it’s been cut more times than Whitney Houston’s cocaine. Price – At $3.99 for 9 fries, there’s certainly better ways to get full at BK. I think for a dollar more, I got two bacon cheeseburgers, two fries and two drinks the other day. Wow, what a good day that was. Today was also a good day, but a tad less cost efficient. Food Quantity – Do you eat a 10-piece nugget as a side? Have you ordered a 20-piece McNugget and refused to share? When you tell people you tried the Cheetos Chicken Fries, do people ask how many orders you ate? If you answered “yes” to any of these questions, then these are not for you. 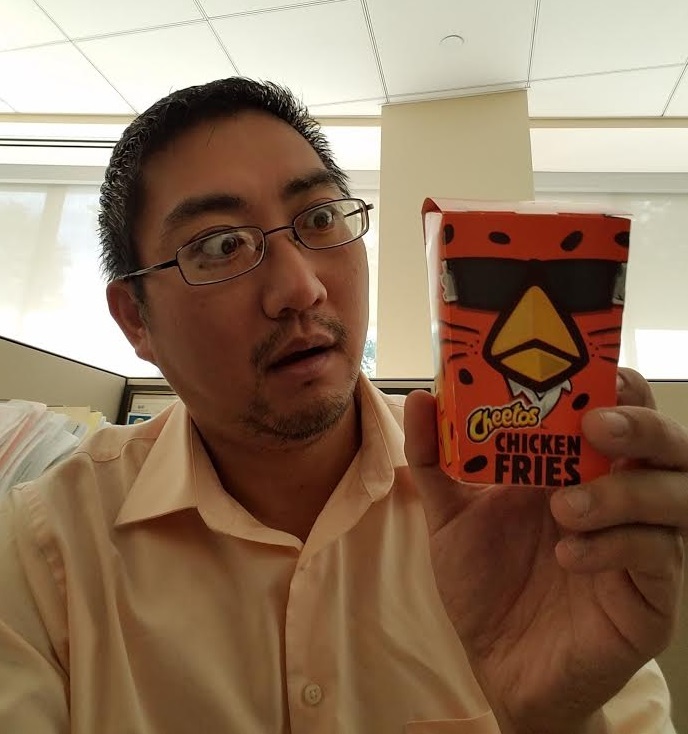 Intangibles – It’s chicken product in the shape of an oversized French fry, rolled in Cheetos, and then deep fried. What else needs to be said than that? 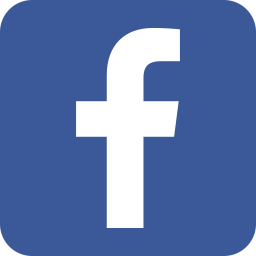 Overall – If you’re, like, super rich and double super unhealthy then this is your wheelhouse. If you’re middle class and just in need of a snack, then this is also right up your alley. But for the normal working class human that enjoys eating until they get the spins, you’d need at least three orders to be fully satisfied. 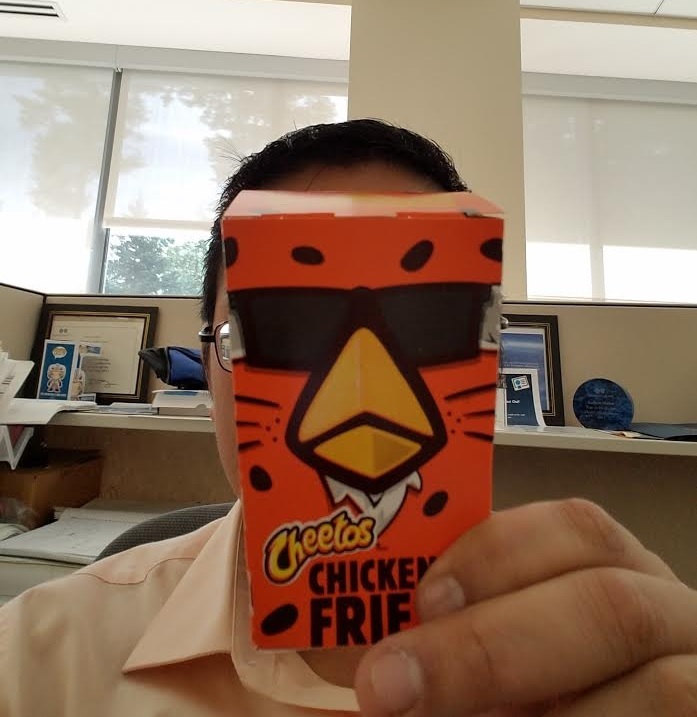 If my math is right (and the shape of my eye holes tells me that it is), three orders of Cheetos Chicken Fries is roughly 1.5 million dollars. That’s just not in my budget. If it were just up to Flavor or Intangibles, I would give this a 5 out of 5. But due to the subpar amount of food, and it being somewhat overpriced, Cheetos Chicken Fries get a very solid 4 out of 5. The transformation into a fast food product is complete.